MBC Game variety program ‘SS501 Hyung Jun, To Be A Pro-Gamer’ shows SS501 Kim Hyung Jun, who transformed into a trainee to become a pro-gamer, having sad tears at the last filming venue for the program. To become a pro-gamer, Kim HyungJoon struggled by himself to pass the 2nd selection match for pro-gamer and MBC Game Hero self warm-up match. Players in MBC Game Hero prepared their sincere farewell messages to Kim HyungJoon. 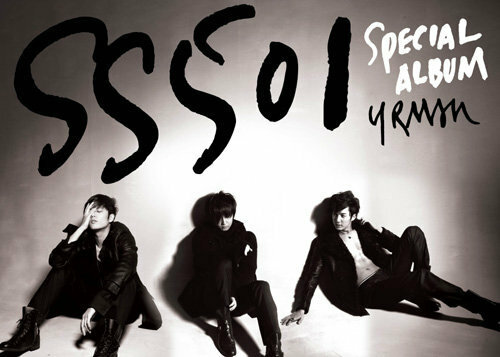 Kim HyungJoon was totally ignorant of the special event, he went to the dorm alone and was tearful after checking on the videos, he could not hold back anymore and finally burst into tears. Kim HyungJoon gave Players of MBC Game Hero a little gift of memories in return for their farewell event. In the short period of 3 months, Kim HyungJoon shared joys and sorrows with players of MBC Game HERO, Seo KyungJong, Yeom BoSung, Kim JaeHoon, Kim DongHyun, Lee JungHoon, etc, and has prepared a commemoration photo shooting in one studio to keep their memories. Having met the players at 2pm on 28-Mar, Kim HyunJoong encourages Yeom BoSung, who led the team to the finals in ShinHan Bank Winners League 09-10 Playoff, and congratulates player ‘JjakDong’ Kim DongHyun who takes the roaster seat for the first time, showing his deep affection and concern for the players. On this day of filming, all members were wearing MBC Game HERO’s uniform where they had a group photo shoot as well as solo photo shoot, and they flaunt their charisma with their hidden talents. Kim HyungJoon went up to each and every one of the players and enthusiastically made various poses that matches each one of them. His image of working hard in order to leave good gifts for them caught a lot of attention. 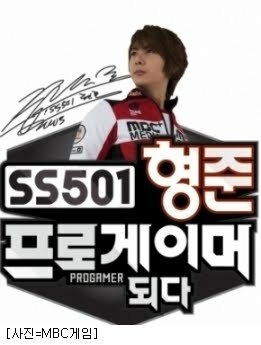 MBC Game’s representative program ‘SS501 HyungJoon, To Be A Pro-Gamer’ last episode will be on 31-Mar at 4pm.